Get full attention from the professionals at WCI. Complete I502 license application assistance. WCI can give you a tailor made private consultation course for your specific business needs. Come and hang out with WCI in a weekend seminar. Take lessons from attorneys, accountants, insurance agents, cannabis testing labs as well as other industry pros. Washington Cannabis Institute seminars are packed with 2 days of information and resources, some of the guests include representatives from the LCB. Get started with WCI's Turnkey I502 Business package. Get all the forms necessary. Business Plan, Operational Plan, Employee Procedures, etc. WCI seminars are where you can get all the information you need for your I502 business and make contacts to help you along with your business venture. Come mingle with like minded individuals. We make accounting easy to understand. WCI certified accountants can help you understand the difficult cannabis industry taxing regulations. Take lessons from expert horticulturalists on the best ways to grow cannabis. Contact us about setting up Turnkey cultivation business. Washington Cannabis Institute has designed an Employee Training & Staffing Certification program aimed at your I502 cannabis business in Washington. Job training and placement assistance for those looking for employment in the industry. Get certified in operating the BiotarackTHC software for your business or find a job as a certified BiotrackTHC software operator. Washington Cannabis Institute live seminars make the local news. Testimonial from Washington Cannabis Institute grad. Local news agencies covering WCI seminars. Come and meet industry contacts and get your business up and running. Do you need assistance with I 502 permits? We’re here to help you get started and operating your I-502 business as soon as possible. Our attorneys have spent countless hours and have developed strategies and forms to help you have the best chance of getting approved for a I 502 permit by LCB. Purchase one of our I 502 business packages or attend our marijuana workshops and get the know-how of what is required by the LCB to apply and obtain your I 502 permits. We will help you understand and comply with the I-502 regulations and licensing requirements for I502 retailers, I502 processors and I502 producers. We’ll introduce you to industry professionals to get your business off on the right foot with everything you’re going to need to be successful in I 502 business market. From day one you will meet attorneys, merchant accounts, 420 insurance agents, cannabis testing labs, bankers, accountants, investors, etc. We are here to help with I 502 permits and other business fillings to get your I 502 cannabis business up and running. 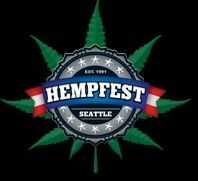 We are professionals that are providing you with expert education to the cannabis entrepreneur community by teaching and consulting in our marijuana workshops on what it takes to start and operate a I 502 or a medical cannabis business in the state of Washington. Let WCI’s team of cannabis industry professionals go to work for you and help you get your I 502 applications approved! It is absolutely mandatory that you have all the correct paperwork and information before submitting the application for I 502 business. Our full I 502 application package will provide you with what you will need to operate your business successfully in Washington right away.